In today's increasingly connected world, it is more important than ever that your vehicle is equipped with the technology that you need to remain in control. 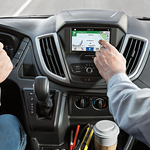 The new Ford Transit has everything that you desire to remain connected and ready to face any challenge. The Transit enthusiasts at Tom Masano Ford Lincoln welcome the chance to demonstrate to you all of the innovation included in this popular full-size passenger wagon. The Taurus remains the vehicle of choice with individuals who prefer a mid-sized sedan. Although the car is larger than a compact, it still delivers impressive fuel mileage. 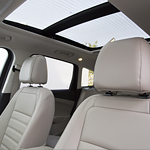 The latest models have interior upgrades that make the sedan more appealing. 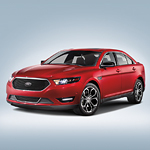 Take a Taurus for a test drive at our Tom Masano Ford Lincoln location. The new SHO interior features sporty black or two-tone black/gray leather seats. The seat bottoms are also longer to enhance leg comfort. Each front bucket seat is also designed to provide the ultimate comfort whether venturing across town or across country. There have been many SUVs on the road lately that are incredibly powerful and comfortable while also trying to be fuel efficient. The Ford Edge ST is one of those powerful SUVs that has all of the convenience of a midsize SUV, just with a more powerful engine. The engine on the Ford Edge ST puts out 245 horsepower and 380 pound-feet of torque. You can drive this SUV for all of your daily commutes or take it on a camping trip. It’s also got the right kind of power for hauling anything. One of the factors some people look at when it comes to finding a vehicle is the design. Some people want a design that catches their eye from the beginning. 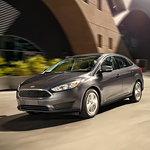 We at Tom Masano Ford Lincoln have chosen vehicles such as the 2018 Ford Focus because of this feature of the design. 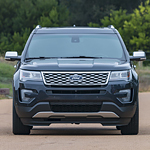 The Ford Explorer is a popular three-row SUV because it is versatile and offers exceptional performance features. At Tom Masano Ford Lincoln, our team tries to keep our consumers informed about our models, so you can read about a few of its performance features below. With the Explorer, class-exclusive Curve Control can help you maintain a safe speed when going around turns by using throttle-reduction and four-wheel braking. When this system detects that you are approaching a curve too quickly, it can slow the vehicle down 10 mph in one second. The Ford Expedition is a full-size SUV with some of the best capabilities in its class. You can check out this powerful family vehicle at Tom Masano Ford Lincoln. Consisting of six cylinders, the Expedition's turbocharged engine block produces up to 375 horsepower at 5,000 RPM. When it operates at 2,250 RPM, the 3.5 L V6 engine generates 470 pound-feet of torque. Additionally, the valvetrain of the EcoBoost engine has the Ti-VCT system. When Reading-area drivers are searching for a new vehicle, they want one that can handle anything that life might throw at it. That is exactly why the staff here at Tom Masano Ford Lincoln so often recommends the new Ford EcoSport. This popular compact SUV is simply jam-packed with capability features. Drivers who travel with quite a bit of cargo will appreciate the EcoSport's standard Cargo Management System. Featuring an adjustable rear load floor and shelf, you'll always have a place to put your items in the EcoSport. 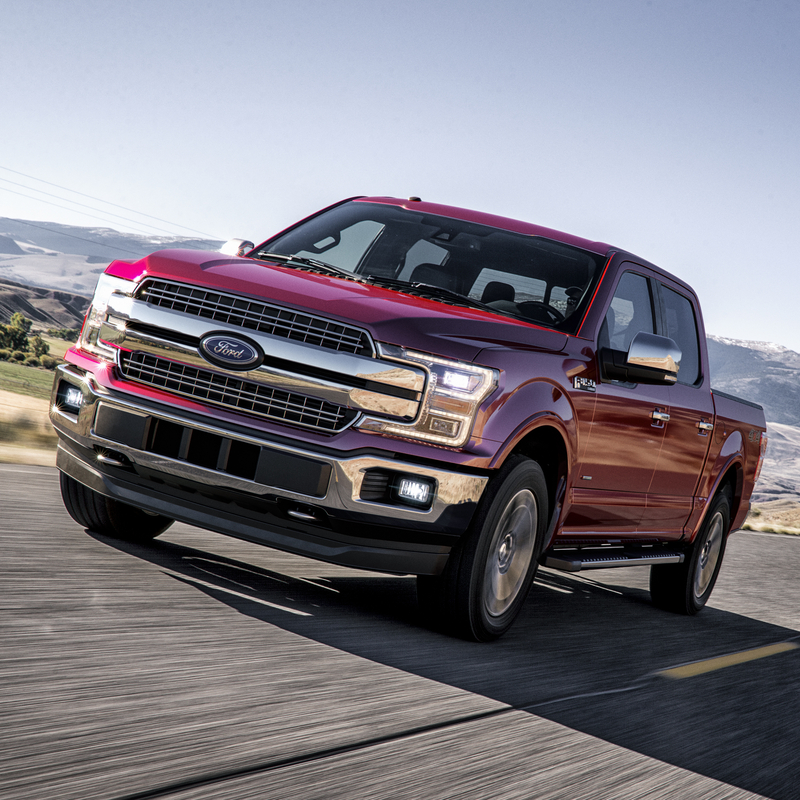 Are you ready for the number of new features in the high-performance F-150? Ford has really changed it for 2019. There are six different engine styles, and the handling and hauling have been improved as well. The F-150 solidifies its place in the full-size pickup truck class with the amount of power that it delivers with every model. No wonder it’s ranked second in the full-size pickup truck category. Even in the standard version, you’ll get 295 horsepower with a turbocharged V6. The 2019 Ford Escape has been called the most quiet SUV on the market. In addition, the interiors are stylish and have user-friendly technology, making your drive tailored to the way you want while keeping you save. The Escape is perfect for individuals or families who want more fuel efficiency and the latest technology for in-cabin fun and entertainment. 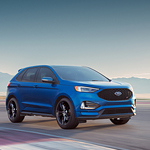 Heading into 2020, Ford is continuing to build on its past successes while looking forward to the future of automotive technology and hybrid vehicles. Based on consumer demand, Ford plans to add four trucks and SUV's to its venerable lineup of vehicles over the next few years. 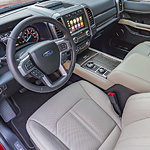 The new Ford Co-Pilot360 system will boast a bevy of driver assist features including blind spot warning technologies and standard automatic emergency braking.